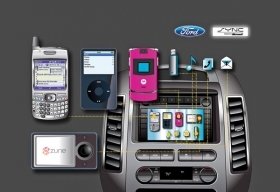 The average Ford vehicle uses 60 microcomputers to run its dozens of electronic features, such as the Sync voice-activated infotainment system. DETROIT -- Ford Motor Co. is doing its best to dispel the notion that more complex cars necessarily cost more to fix than less complex ones. Ford has added dozens of electronic features to vehicles in the past five years, including Sync voice-activated communications and park assist. The average Ford vehicle today takes 60 electronic control units or microcomputers to run all that gear, up from 15 modules 10 years ago, says Chris Davey, Ford technical leader of software and control systems engineering. Yet Ford has cut its warranty costs for fixing electronic control units over the past five years by more than $100 million, Davey says. Chris Davey: Repairing or updating software in cars' microcomputers has cut Ford's warranty costs by $100 million. How? Ford, he says, has learned to fix or update the software inside these microbrains rather than replace the units when they malfunction or need new applications. Ford dealers have the software to do the fixes. Ford also is using this process, which it calls In-Vehicle Software, to reuse software codes written into the electronic control units on future vehicle models. Davey declined to quantify potential savings, except to say they are substantial. The average Ford vehicle contained 2 million to 3 million lines of software code 10 years ago, he says. Today, with all the new electronic equipment and the need for various control modules to communicate with one another, the average vehicle has 10 million lines of code. Prior to the In-Vehicle Software process, Ford often swapped out faulty electronic control units when they needed service, Davey says. That was an expensive solution. Those modules, which control everything from engines to adaptive cruise control, cost $100 to $350 apiece just for the hardware, he says. The cost of labor was additional. And pulling out the hardware had the potential to introduce squeaks and rattles, he says. 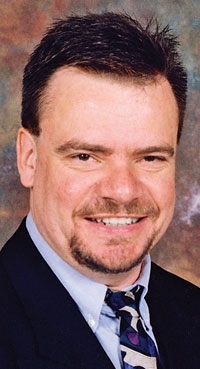 Today, Ford supplies its dealers with the software needed to diagnose problems with the units and they can be fixed or updated by a simple re-flashing of the embedded software, says Dave Taylor, a senior global executive with Siemens PLM. Siemens PLM, a business unit of Siemens AG in Germany, makes the product life cycle management software that Ford uses to flash applications into the electronic control modules at the factory and then track them throughout the life of a vehicle, Taylor says. The software then identifies the necessary fixes when a vehicle needs service for a module repair or update, he says. The software can track the differences in software across models and nameplates, down to the individual vehicle using the vehicle identification number. That also makes it easier to pinpoint software problems in the field. Siemens PLM received an Automotive News PACE Award in April for its Teamcenter In-Vehicle Software Management System. PACE stands for Premier Automotive Suppliers' Contribution to Excellence. Knowing exactly which codes are embedded in each module allows Ford to use those module designs in future products often with only minor software updates, Davey says. That can result in huge cost savings across the global vehicle platforms that Ford is developing, he says. An example of a global platform is the Ford Fiesta subcompact, which is being made in variations in Germany, China and Mexico.